A pattern day trader with long-term profitable history of online stock trading is not found in a huge amount of daytraders who trade some version of stock daytrading systems every day. It is a quite common idea that only 5 % of all intraday traders are actually able to make money by daytrading stock online during longer periods of time. So how could one aspiring intraday trader become part of this successful group and be a pattern day trader who knows how to make money by using daytrading systems consistently? It is a question that has plenty of different answers. I would like to describe here three possible issues that play a very important role in creation and especially execution of profitable daytrading systems. These daytrading secrets are not something that is very confidential. The only issue that makes these ideas secretive is that many wanna-be traders avoid learning some of them and make many daytrading mistakes. These mistakes lead to depletion of their trading accounts. And as every trader knows, it is not possible to trade without money – real cash – in a account opened with daytrading online broker. Pattern day trader is a known term from stock trading terminology. It is typically someone who effects 4 or more intraday trades within a 5 business day period. A trader who executes more than 4 daytrades in this time is deemed to be exhibiting a ‘pattern’ of intraday trading and is thereafter subject to the “Pattern Day Trading rules” restrictions. This is typical definition you can find on many web pages of companies that offer brokerage services for daytraders. 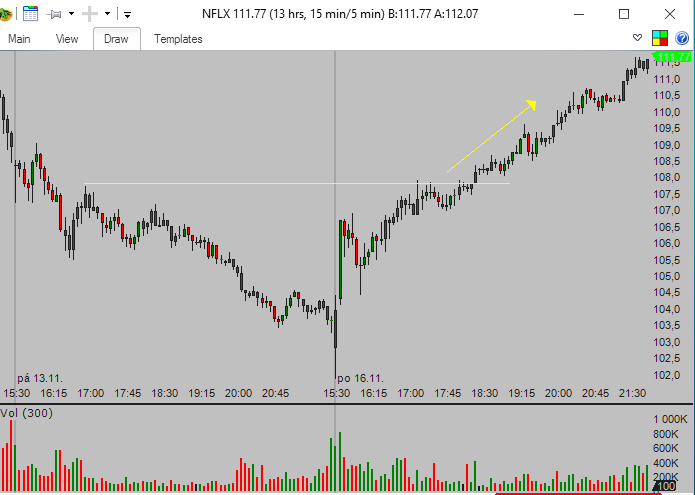 The intraday trade is any trade pair wherein a position in a security (stock, single-stock future (SSF), bond or stock option) is increased (“opened”) and thereafter decreased (“closed”) within the same trading session. It is necessary to have online accounts for daytrading funded with 25000 USD. Only with this or a bigger amount of money are you allowed to trade without restriction and use some stock market strategies for intraday trades. This special ruling is part of the protection scheme of FINRA and NYSE so not all international traders are affected by these rules. But if you use or plan to use an online broker located in USA, then your account will be affected by this ruling. I personally think that this rule is quite useful for day traders. Why? It pays to have the biggest trading account possible. I have found during my career that bigger trading accounts allow you to manage risk more properly and avoid to take intra-day trades that bear heavy risk from an account perspective. It is much easier to use risk management rules on accounts sized above 30000 USD (preferably above 50000 USD). I have seen many beginning day traders that wanted to start with a very small amount of money only to be wiped when their trades fail and their account fell to only few thousand USD (less than 7000 USD). Intra-day traders are faced every day with the necessity to make quick decisions about opening and closing of every single intra-day trade. I have heard many times that traders were not able to press the buy or sell button and that situation leads to missing very profitable opportunity or to huge losses that were much higher than the small stop loss defined by their risk management rules. I think that it helps to create some form of checklist for a day trader that clearly defines what should be filled to make some type of action (buy, sell, etc.). And then check this checklist regularly during your intra-day trading session. Do not think more about the trade, just check if all points in the checklist are met and then act accordingly. Don’t think about it, only act. The most profitable intra-day traders use very simple day trading systems. Most of these systems are based only on price action and recognition of support and resistance levels without incorporation of other day trading indicators. Try to follow them, delete day trading indicators from stock charts in your broker software and leave only candlesticks and volume. And try to create some simple breakout or pullback trading strategies in these stock price charts. Enter your name and email and receive regular free stock trading newsletter with stock and ETF picks and tips to trade succesfully. Receive free stock trading tips, ideas and stock picks for current market situation. What is the best moving average for pullback trading strategy? Custom coding , modifications, anything you need to do with your Wordpress. We are your technical WP staff. (C) Copyright 2007-2018 Richard Koza, Atwel International, s.r.o.